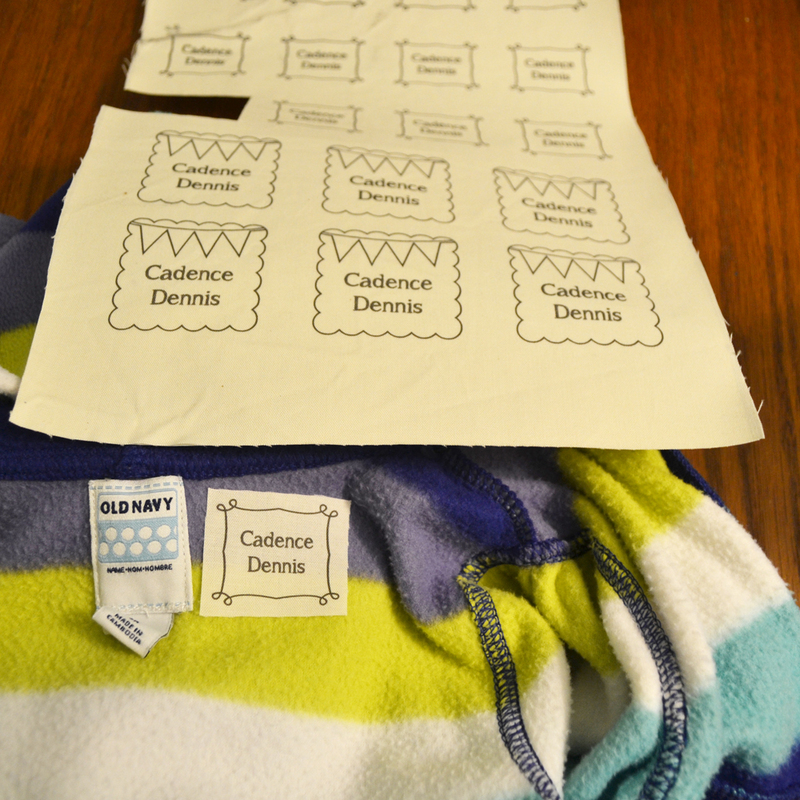 Did you know that you can print right on fabric with your home inkjet printer? You can! I’ve just done it and it works really well. 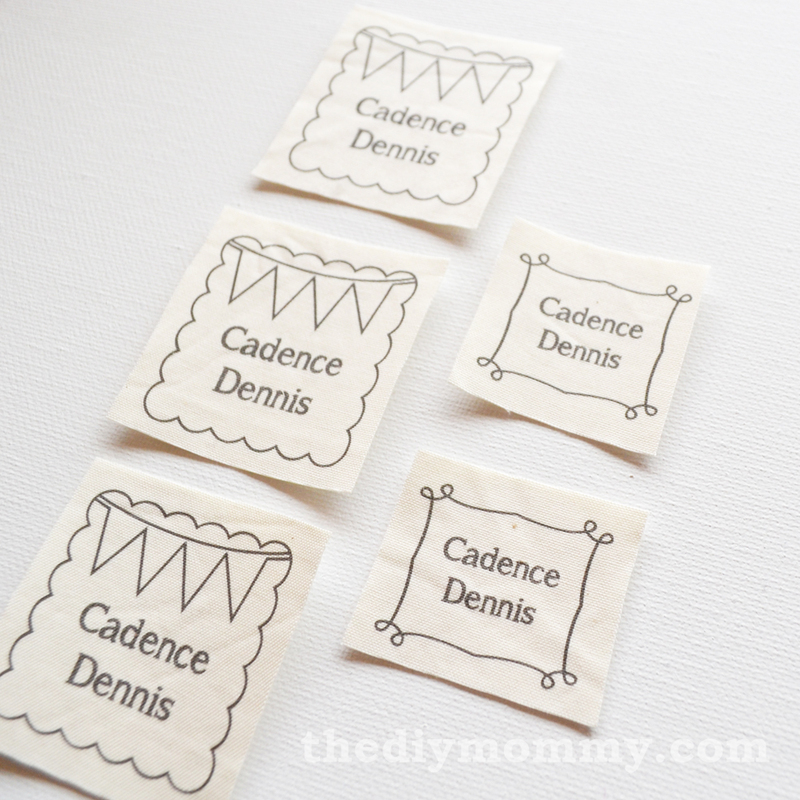 I’ve used this simple technique here for these fun iron-on fabric labels that would be great for back-to-school! 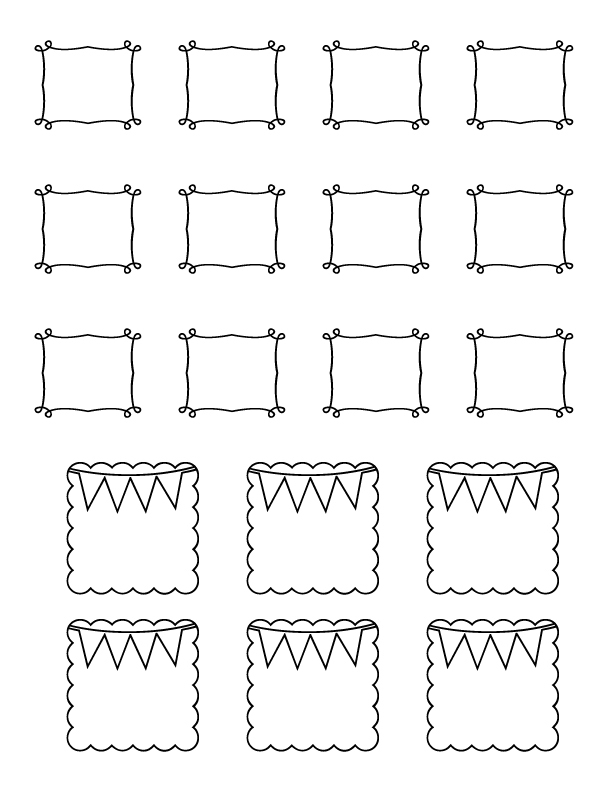 Cut a piece of the Heat n Bond into a standard letter paper size (8 1/2 ” x 11″) so that it will easily feed through your printer. 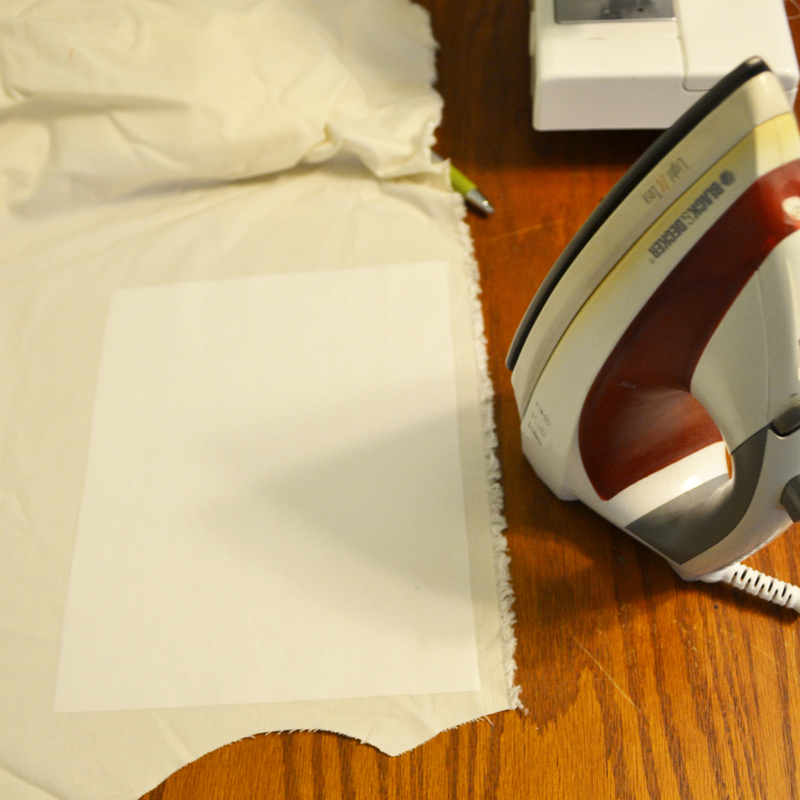 Fuse the Heat n’ Bond to the cotton canvas fabric with an iron on low heat (follow the directions on your Heat n Bond packaging). Trim the fabric to the size of the Heat n Bond. Place the fabric in your printer’s feed tray, set it up to print, and as the document is printing ensure the fabric feeds evenly through the printer (you may have to steady it with your hand as it prints). Let the fabric dry for at least an hour, and then cut the labels to size.To adhere the labels to a garment, peel off the paper backing of the Heat n Bond, and then fuse the labels to the garment with an iron on a low setting. Be especially careful if you’re fusing the labels to a polyester fabric like fleece – an iron that’s too hot will melt the fabric! These iron-on labels would also work great for natural-fibered backpacks, pencil cases, blankets and more! 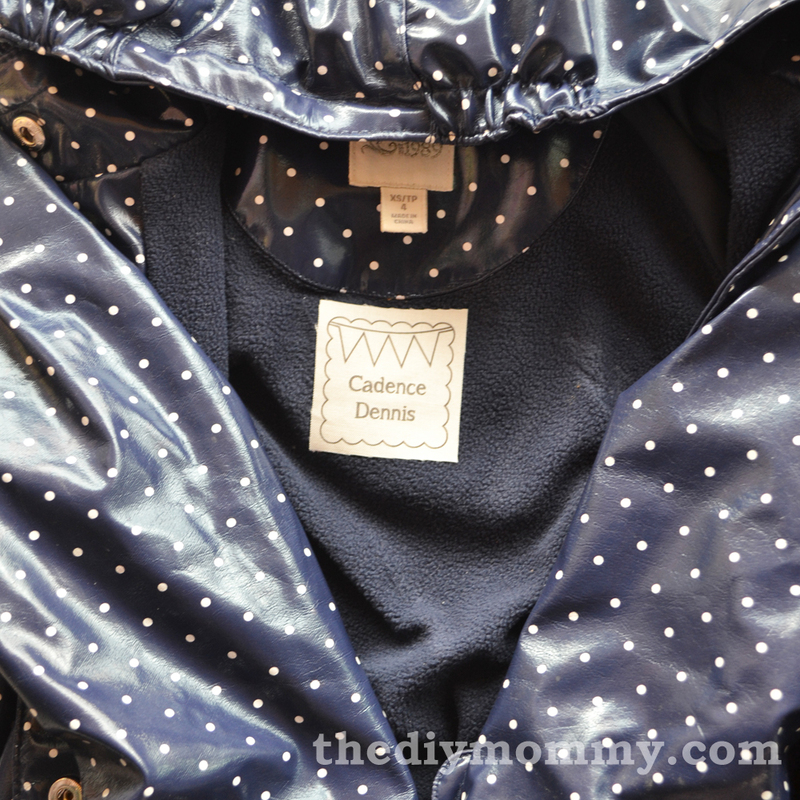 For extra security, you could also sew around the label once it’s ironed on. Very cool! So where do you buy your Heat N Bond? Thanks, Sarah! I think I bought this big roll at Walmart! You can also find it at most fabric shops. These are awesome, thank you! Do the tags go through the wash well? (Mostly wondering about fading, not the tags coming off since I’d probably just sew on to be safe.) Thanks again! Thanks a bunch, Cindy! They should wash well as long as you let them dry. They probably will fade eventually over a long period of time like most ink labels do. This is fabulous!! I wonder if this is more frugal in the long run than ordering personalized labels through a company? I had no idea that you could print inkjet on fabric! Thanks, Judith! I think it would depend on your cost of ink and how much time you spend on designing them (if you designed your own). They’re super fun to make regardless! This is absolute GENIUS! I had no idea you could print with your inkjet onto fabric. Does it go through the wash ok? Pinning this and going to give it a try. Thank you for sharing! Thanks so much, Crystal! As long as you let it dry, it should wash OK. Like any inked labels, it will fade a little over time. This is so cool!! I had no idea you could print on fabric! Awesome post and I’ve been searching for this answer for the past how many days!!!! Do you know if it’s possible to use other garments to print on for these heat presses? And what about the ink? Are you using a special ink so that it doesn’t wash away onto the tshirt or spread all over the tag? So many questions : ) it would mean lots if you can share some light my way. Your post is excellent; your post got me a lot to learn. Thank you so much for sharing. I will suggest your posts to my friends. Hope more people will appreciate your posts. Fabric name is great labels. 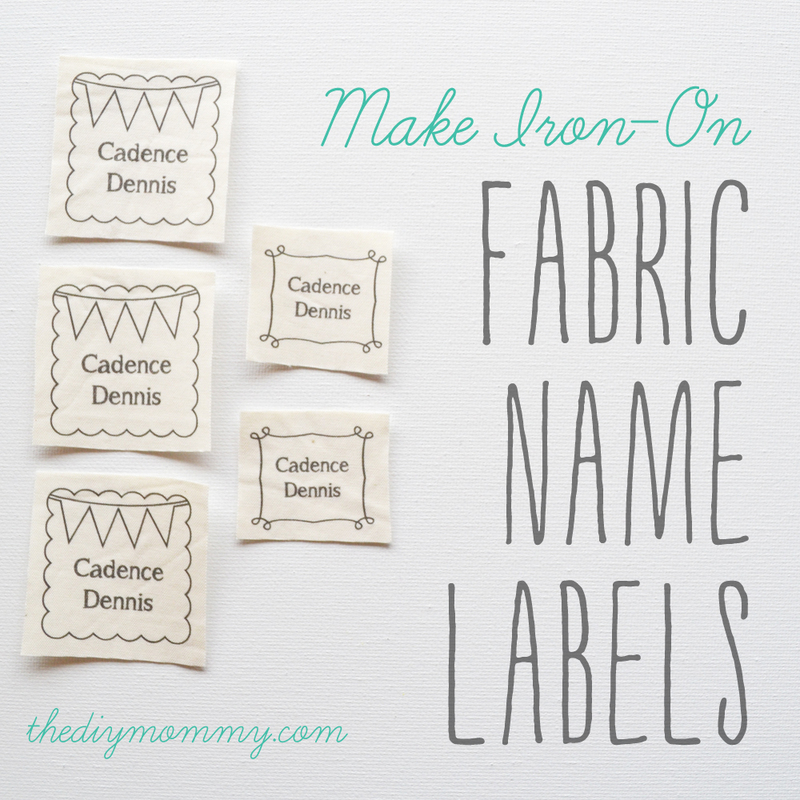 I am reading your blog and I get the valuable information about iron-on fabric name labels. Thanks for sharing useful information.